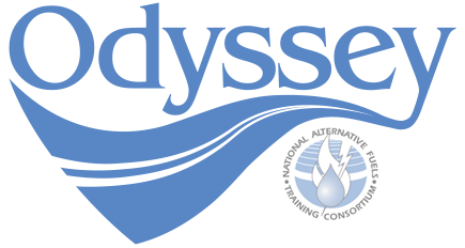 Odyssey is one of many events being held across the United States and internationally. National AFV Day Odyssey is a biennial event created and coordinated by the National Alternative Fuels Training Consortium (NAFTC) at West Virginia University. This year marks the twelfth anniversary of the event and is themed “Driving toward a clean, secure energy future.”We are pleased to join Odyssey 2017 as we continue to drive toward a clean, secure energy future. With our event we will share the message of embracing alternative fuel and advanced technology vehicles with our community, continuing down the road toward energy independence. This year, we are proud to be a stop on the Blue Bird School Bus tour! Come learn about the basics of the CNG engines and transmission! See both CNG and Propane buses and get the latest update on the VW Settlement funding opportunity from LDEQ! Ann Vail Shaneyfelt, LCF: Electric Vehicles and the Louisiana Market – An Update on Infrastructure, Federal Pilot Projects and More! REGI: Bio Diesel 101 – Made in Louisiana! Last stop on the Blue Bird CNG School Bus Tour! Tour the new BRCC Automotive Technology Center! Contact Stephanie for more information. Louisiana Clean Fuels hosted their Odyssey 2014 event at Goodwood Main Library in Baton Rouge, LA in conjunction with their quarterly stakeholder workshop. Speakers included Ann Shaneyfelt of Louisiana Clean Fuels and representatives from Republic Services, Solar Alternatives, Cummins, CleanFuelUSA and Siemens. Sessions included heavy duty options, a light and medium duty fleet vehicle panel, safety, return on investment, training, and a legislative update. Following the workshops, attendees were invited to lunch and a vehicle expo at the Botanic Garden at Independence Park.